Day one of what I hope will be a year long journey exploring everything this world has to offer. The adventure starts with a two day trance festival called Dreamstate by Insomniac. The great thing about electronic music events put on by Insomniac is their focus on fan experience, as opposed to ticket sales and profit. As such, the term “headliner”, normally used for the big name act, is reserved for the fans themselves. I’ve never been to one of their events before, so I’m looking forward to experiencing what Rotella’s vision of a music festival should be. 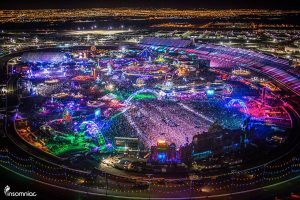 One of Insomniacs more famous and well known events, Electric Daisy Carnival (EDC), attracts 400,000 fans over the three day festival! Dreamstate is being held in San Bernardino, California. They will be running four simultaneous stages aptly named: The Dream, The Vision, The Sequence, and Timeless. 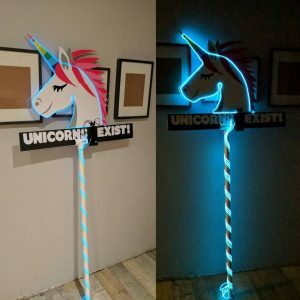 There is a group of six of us going, and in an attempt to keep everyone together, I decided to build a totem. It, unfortunately, did not make it on the flight! All that hard work, for nothing.